The real estate market in San Antonio, Texas seems to be looking up for those who are looking to buy or sell as the number of houses on the market starts a slow increase similar to the one marking the median selling price. The year seems to be getting off to a pretty good start for both sides of the equation with the number of houses available increasing even as the number of days on the market decreases and the selling price increases. So take a look at this San Antonio Real Estate Market Report for the beginning of the year. Here are the average sold home prices for homes in February 2017 by feature. Here are the average sold home prices for condominium in February 2017 by feature. Presently, the data shows that there are a few more houses on the market than there were this time last year. It also shows that the average selling price of those houses is starting to increase slightly and may continue to do so. The average length of time a house is on the market has started to drop over last year from 83 to 74, meaning a decrease of 10.8%, a benefit to those selling. With the increased prices that are being offered, it’s also an even bigger benefit to those currently selling. What if You’re Buying a House in San Antonio? If you’re looking to buy a house this is a good time to do it. With over 1,000 new properties on the market from the past month and new properties being added for this month it’s likely you’ll find one for sale that you’re looking for. The market shows that houses are starting to come off the market more quickly, however, and they’re starting to sell for a little more money, which is something to consider when you’re looking at your next house. Average sold home prices are around $223,083.00 in the area, and with only about 2 months on the market, it’s important to snap up what you want right away. 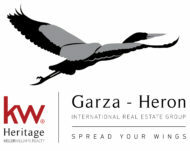 What if You’re looking to Sell a House in San Antonio? If you’re looking to sell you want to know that the housing market is starting to increase. There are more and more houses being added to the market each month and that increase could affect your ability to sell. However, with the decreasing amount of time on the market and the increasing price that houses are selling for this is starting to be a better time for sellers than buyers. The slight increases may not seem like a lot but they are definitely going to start adding up. With the average selling price already up from $218,359 to $223,083 from last year, it’s possible this will increase further.